The company is bracketed among the distinguished Manufacturers, Suppliers and Exporters of Magnetic Base UL-50416 Series from Maharashtra. Magnetic Bases we make available can be locked to any position in 360° by a central lock. 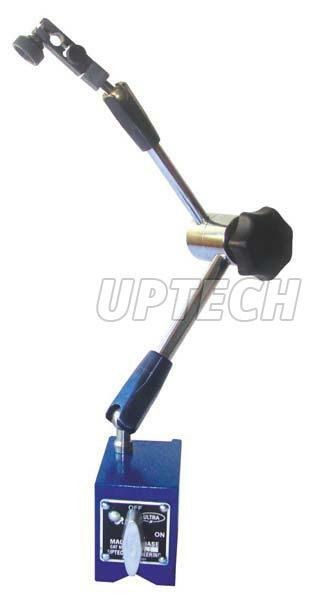 Bearings are provided on the Magnetic Base for easy working and rigid locking. Used as a holding device for dial indicator. Bearings are provided for easy working & rigid locking. Can hold 8mm stem diameter of dial.